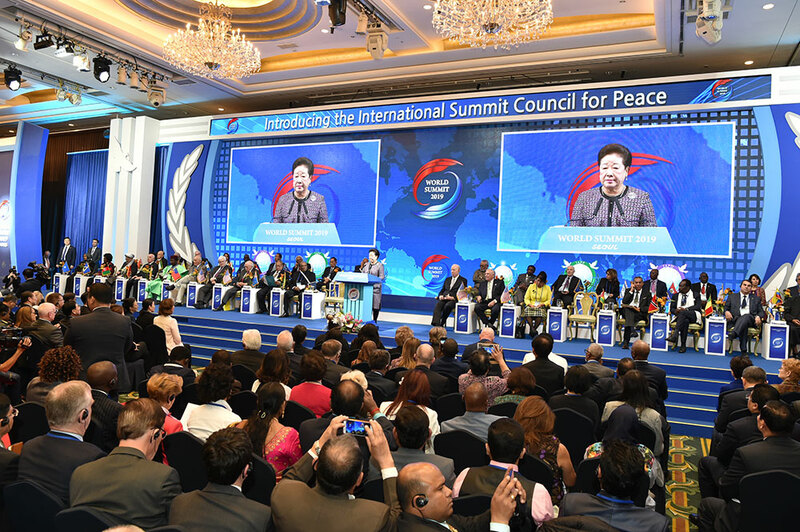 The 2019 Universal Peace Federation (UPF) World Summit centered on the theme of “Peace, Security and Human Development” welcomed over 600 delegates from around the world, representing governments, religious organizations and those active in civil society on February 8 and 9 at the Lotte Hotel in Seoul, South Korea. With the opening program being guided by emcee Dr. William Selig, Communications Director for UPF International, participants were welcomed to a banquet, entertainment and some welcoming remarks. Dr. Thomas Walsh, President of UPF International, welcomed the participants and presented an overview of the UPF World Summit program; an address from True Mother, International Association of Parliamentarians for Peace (IAPP), Interreligious Association for Peace and Development (IAPD), sessions focusing on peace in Northeast Asia and the Korean peninsula, and the introduction of the International Summit Council for Peace (ISCP). Inspirational messages were given by Hon. Yoshinori Ohno, former Minister of Defense, Japan, who spoke about the way to bring about peace on any scale is to be open to others from different cultures and countries, and H.E. Dame Pearlette Louisy, former Governor General of Saint Lucia described the family as a school of love where the principles of peace and harmony are nurtured and developed. These messages, combined with wonderful entertainment and delicious food, culminated in an air of anticipation for the conference ahead. 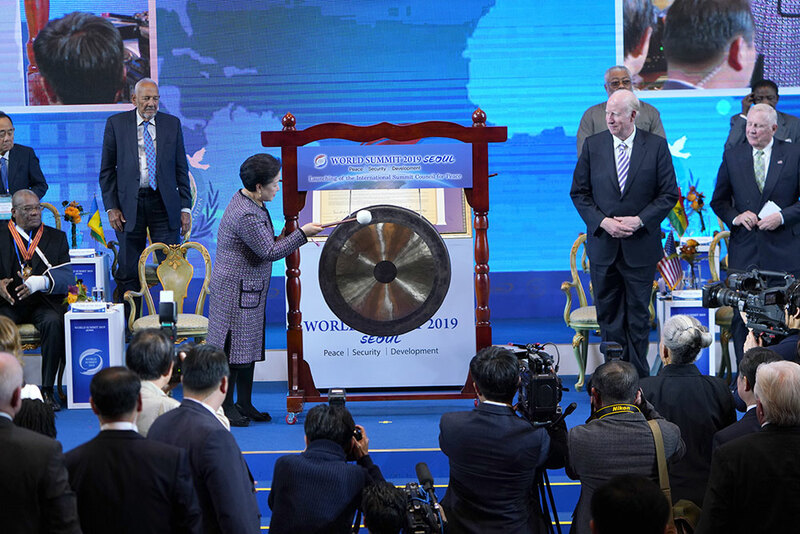 A cornerstone of the opening ceremony was the introduction of the ISCP, a new association of current and former heads of state, government and world leaders. 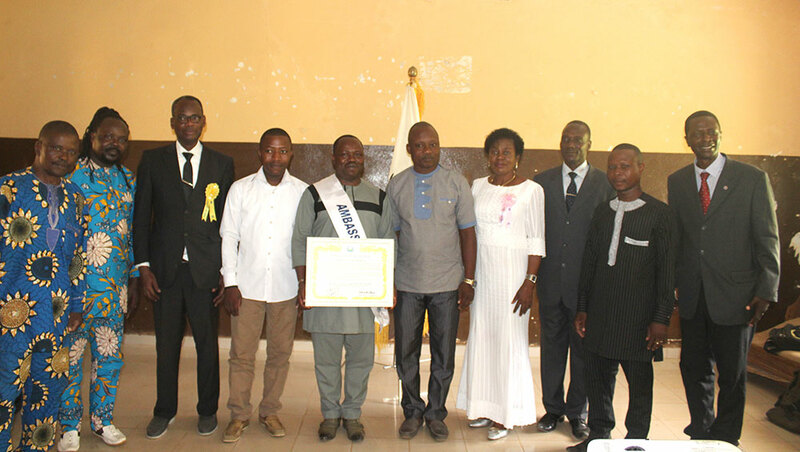 Inaugural ISCP programs on the regional and national levels will be held throughout 2019 and the first World Assembly of ISCP will be convened in 2020. The afternoon sessions included keynote addresses from the current and former heads of state and government who shared their personal ideas and practical solutions to build peace and the need for respect and love as the foundation for world peace. The representatives of many nations and diverse religions expressed their concern for the challenges facing our societies and particularly the crisis affecting the Korean peninsula today. 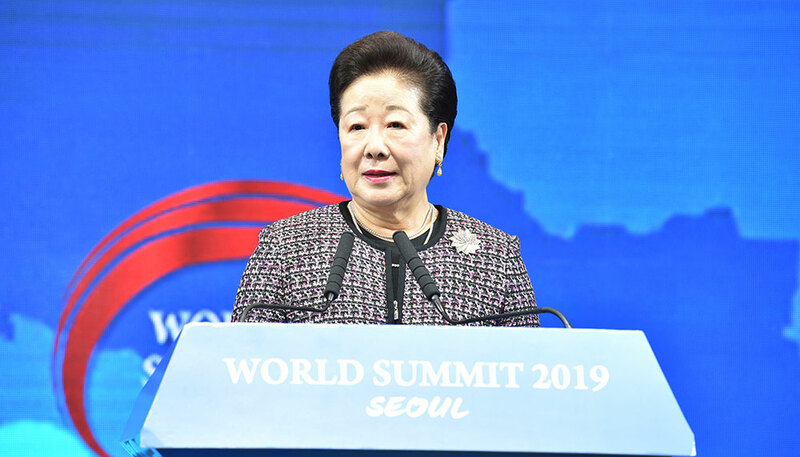 At the same time, there was a profound sense of gratitude to True Mother and UPF for the spirit and opportunity to foster just and lasting peace on the Korean peninsula and the world.